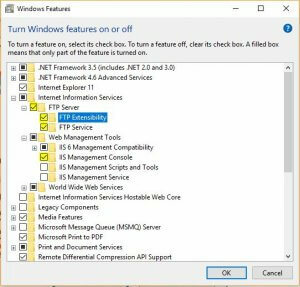 In this tutorial I will guide on the steps on how to setup local FTP server in Windows 10. Having your own FTP or File Transfer Protocol server can be one of the easiest and most convenient solutions specially when creating and testing an application that needs to be connected to an FTP server. This can also be use on your own private network at home or on your small businesses. After you setup local FTP server on Windows 10, please follow the step on the video on how to configure your local FTP site on Windows 10.